Database and listings were updated January 21, 2019. There are currently 1,885 pressed coins in our database. 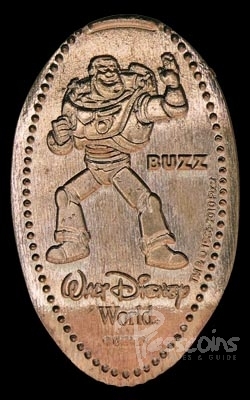 1 results found for: "MK0179" with "All Designs" with location "All" and with coin type "All"
Description: Buzz Lightyear standing in karate chop pose, Walt Disney World logo, "BUZZ / TM & © 1986-2010 Pixar"